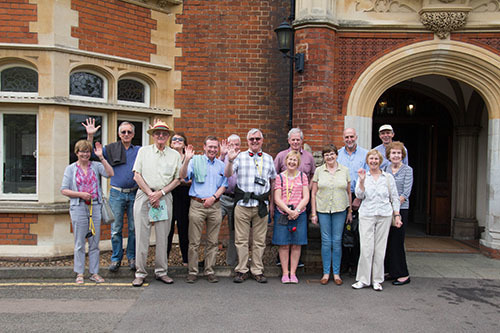 All Saints’ Men’s Group organised an outing to Bletchley Park on a Sunday in April. Ladies were invited as well and a group of us forewent the APCM to drive to Buckinghamshire to explore the place where code breakers worked in great secrecy during the war. It was here that the German Enigma code was cracked, and where further colossal code breaking machines were built which presaged the beginning of modern computing. Exhibitions were housed in wartime huts as well as in the larger buildings and explored the development of communications in wartime, from the carrier pigeons in WW1 and 2, to the advent of radio communications. There was so much to see and read that it was impossible to cover everything in one visit, but we were able to imagine the lives of the code breakers as they occasionally lightened their work with dramatic performances and in-house magazines. 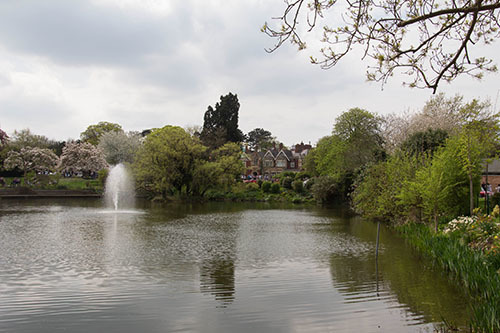 The lives of these people were recently dramatized in the film “The imitation game”, but there was much more to the story of Bletchley Park, than Enigma and Alan Turing. The visit gave us a chance to understand more about the methods used to crack the enemy’s communications which ultimately led to a shortening of WW2 and victory for the allies. No longer a secret location the grounds of this country mansion teemed with visitors who were enjoying a day out in the sun, with the added feature of a classic car show to view, and it made an excellent opportunity for a day out with friends.